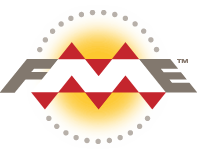 Use FME in conjunction with MicroStation to share designs for use in external applications, and also to import non-native data. FME gives MicroStation users the ability to use non-native data, integrate DGN files with other datasets, share it for use in other applications, transform it for storage in a database, and efficiently accomplish many other tasks. Bentley MicroStation is an information modeling environment for the design and management of infrastructure in architecture, engineering, and construction. FME lets you integrate many applications and file formats. Here are some of the ways our users convert Bentley MicroStation (V8 DGN). The table below outlines how Bentley MicroStation (V8 DGN) is supported by our different FME products, and on which platform(s) the reader and/or writer runs.